NOTE: This content is old - Published: Sunday, Sep 4th, 2011. 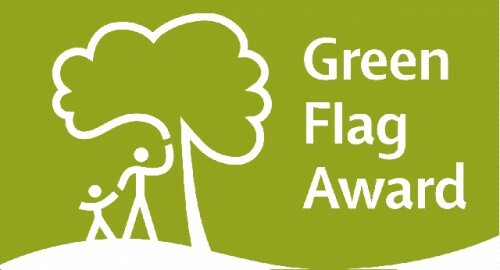 Visitors to Wrexham’s country parks are being encouraged to vote for their favourite local Green Flag site in a competition run by the award’s organisers. Wrexham has five Green Flag Award parks, Ponciau Banks, Bellevue, Alyn Waters, Ty Mawr and Nant Mill, all of which have stunning scenery and a diverse and well managed ecology. The People’s Choice Award is an annual online vote that gives the public the power to decide which one of the 1,290 parks or green spaces flying the Green Flag Award should be named site of the year. “Staff have worked incredibly hard to retain the Green Flag Status in five of our country parks so residents and visitors to Wrexham can appreciate the environment that we have on our doorstep that are free to enjoy. Voting is taking place now at www.greenflagaward.org.uk and votes can be cast until Monday 12 September with the winner being announced on 21st September.